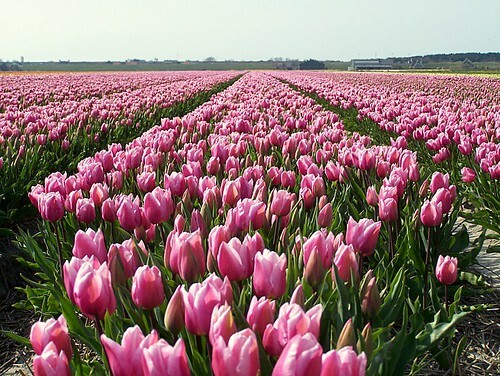 Another month has passed and Spring is here. Flowers are blooming everywhere which inspired the photo choice today. The bushes by our garages have pretty pink flowers. I will write a quarterly update your on the 2010 goals next week to keep this from getting too long. . It was a pretty good month with the budget even though fuel prices are rising. Living so close to work keeps it from making too large an impact on the budget. We did make one unplanned purchase that was not a repair or replacement. To make it easier when we babysit our grandson, we bought a car seat. Mr. Boomer was so cute comparing car seats at many stores. He ended up with a car seat that will lasts the full seven years required as it’s convertible. The good part of the purchase was that Costco had an excellent value compared to other stores with a price of $85 plus tax. It was worth it to keep our most precious cargo safe. Visits were up 50% over last month but there were three extra days so I’m not overly excited about that. The best part was I hit 100 plus daily visitors for the first time. If only I could do that every day…. 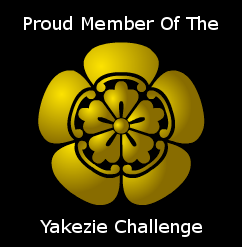 To help me with promotion (and learning) I joined the Yakezie Challenge started by Financial Samurai. Be sure to check out some of the articles by other members. Our month went fairly well although gas prices were pretty staggeringly high. And it’s not in relieved either now. We had a huge tax refund as mentioned on my post but most of that will go off paying down debt and also a gift to our parent. All in all it was a long month coming off of February’s 28 days. .-= MoneyHoneySFÂ´s last blog ..Car Shopping =-. My month wasn’t as good as yours! Congrats! Thanks for reminding me to be appreciative. Evan, there’s always next month! Thanks for the congrats. Good work on your monthly traffic. I know that feeling of seeing over 100 visitors on a particular day, then not repeating it for a week or so. (very frustrating!) keep up the great work! .-= Little HouseÂ´s last blog ..Tuesday Tips, Week 4 =-. Little House, thanks for the encouragement. I get jealous when I see other new blogs get terrific traffic. I’m sure they are able to work at it harder. It’s a balancing act (as I’m sure you know!). Don’t get jealous, get motivated! .-= Financial SamuraiÂ´s last blog ..Doing Anything You Can to Survive â€“ Silence And Surprise In The Night =-. Good point, Sam. That is why I joined the Yakezie Challange. The best benefit is not increasing my Alexa ranking but learning from the other participants. It’s a great group of people. .-= Bucksome BoomerÂ´s last blog ..4 Career Tips for Success from the Military =-. .-= FMOÂ´s last blog ..Family Money Games =-. FMO, you just made my day. You started a blog for the same reason I did. It’s given me so much more than just financial benefit though. The community and learning has been great! Starting my blog was the #1 item that got me going down the right path. Knowing that there were 10, 15, 20, or now hundreds of people everyday reading what I have been doing makes me WANT to do better, financially speaking. .-= EvanÂ´s last blog ..Make the Most of Unemployment =-.